Hey, expectant mama, this one’s for you. Or maybe you’re the mom who is in beginning stages of learning to breastfeed your new baby. If you’re like me, you just assumed you would breastfeed without too much thought or preparation in place to boost it’s potential for success. You have probably also heard all the horror stories. It seems like everyone has one, right? Well. I’m here to tell you that it can work. It can work beautifully. I know there are so many variables at play contributing to whether or not a mom will be able to breastfeed at all, much less long-term. Many of them are out of our control completely, so please don’t be too hard on yourself if it doesn’t work out as easily (or at all) like you had hoped. I encourage you to be patient with yourself and your baby. Nursing is a lot of work and much more complicated (at first) than I had ever guessed. But after that initial learning period, it becomes your new normal. Not to mention – it costs zero dollars! One of my favorite things about nursing. FOR SURE. My ultimate goal was to make it one year. Shockingly, we did it! And even went past a year, right to the 13 month mark. I am just overwhelmingly grateful and thankful that it worked out for us. Toward the end I was ready to be done, I’ll admit, but still so appreciative that we got through it together. Preparation. I took a breastfeeding class at the hospital about a month prior to my delivery. It was simple – a lactation consultant spoke for a few minutes and we watched some of Dr. Jack Newman’s videos going over the basics of a good latch and tips for common problems. I also skimmed through the Nursing Mother’s Companion book and kept it close by for quick reference on schedules and techniques. Also, prepare yourself emotionally. Breastfeeding takes work. It may be painful or uncomfortable in the beginning. It’s time consuming. It’s a huge commitment, no doubt. But just like many other aspects of parenting, it is worth it. It’s an investment and a sacrifice. Along with mental and emotional preparation, make sure you have the necessities on hand. 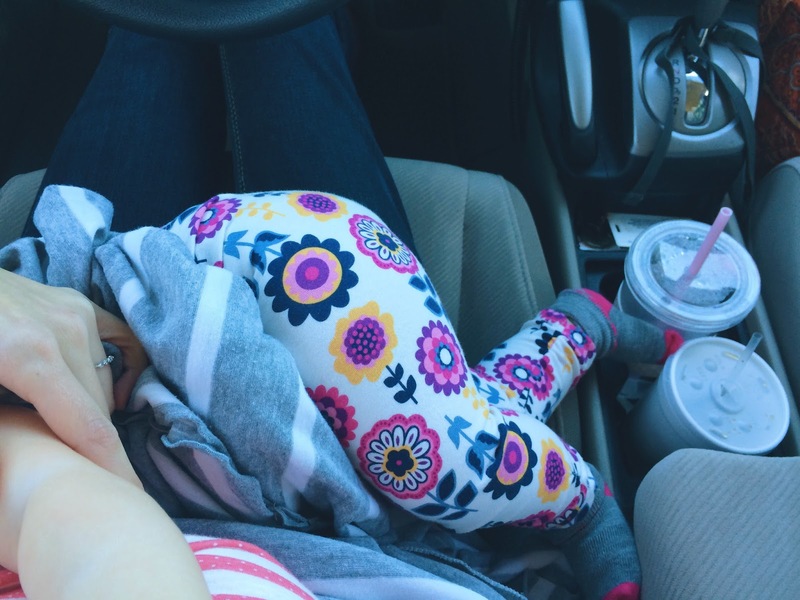 A good pump, a cover that makes you feel comfortable (here’s the one I loved, or one similar here), a nursing pillow, a couple of nursing bras (I found some I loved at Target – shocker), and nursing-friendly tops are all ways to make breastfeeding more manageable in your daily life. Set realistic goals. Although I had a long-term goal of one year in the back of my mind, I really took it day by day. When Aven was first born, I just wanted to nurse her in the hospital. Then when we got home I wanted to nurse for one week. Then we made it to one month and I knew we could keep going. That’s when I started focusing on longer goals like 6 months and one year. Resources and support. While in the hospital, take advantage of the knowledgeable staff. Have a nurse or lactation consultant help you several times with correct positioning and latch. Once you’re home you won’t have their help! Ongoing support is also vital to successful breastfeeding. I was fortunate enough to have a lactation consultant on staff at my daughter’s pediatrician office. We saw her on our very first doctor’s visit and she sat through an entire nursing session with us to see what I was doing wrong (and right!) I cannot even tell you how helpful this was. I also called her any time I was having issues with supply, scheduling, or any question related to nursing. With more day to day questions, I had my cousin to call on who had nursed her babies successfully. This is crucial – have someone you can send a quick text to when you are having specific problems or need encouragement to keep going. Take the time to write out your plans for when you return to work. Be specific. Think through what your typical day is like and set up a new routine for yourself. (This may have to happen once you are actually breastfeeding and understand the schedule). What times will you take breaks to pump? Where will you pump? Will you have to put all of the pump parts up each time or can you leave your it all plugged in and ready to go? Where will you store the milk? (Some pumps come with a cooler compartment which is ideal so you don’t accidentally leave any milk at work). It’s also a good idea to give your employer a quick rundown of how often you will need to pump during the work day. They are required to accommodate you. Don’t let anyone make you feel bad or put pressure on you to the point that you are skipping pumping. You have to be consistent if you want your supply to be consistent. Stay on top of potential problems before they overwhelm you. When I felt my supply dip slightly, I would make a batch of lactation cookies (there are one million recipes on Pinterest). When it dropped severely after I was sick once and again near the one-year mark, I took a supplement called More Milk Plus at my lactation consultant’s recommendation. Each time I was able to get back up to a normal supply without having to supplement with formula. Before serious pain sets in, or if you are having continuous discomfort, look into a breastfeeding aid and/or talk to a professional. Make it a priority to address issues right away so they won’t become too big to handle. I have to be up front and tell you I hated pumping. Hated. it. But since I work essentially a part time schedule that I can set for myself, pumping was not the primary way my daughter got milk. Most of the time it was straight from the source, so that was my saving grace. Because pumping was not my favorite, I was reluctant to do it on my days off. I should have started pumping sooner which would have helped with our bottle-feeding issue and my lack of back-up supply. In the beginning when your supply is overflowing (literally) go ahead and start pumping at least once a day to build your supply. This will cut way down on your stress level. Also, pumping extra allows dad to get in on the feeding times with a bottle. He deserves to be involved in this aspect as well. A large, large dose of grace (which is always my favorite parenting advice, no matter the topic!) Please don’t be hard on yourself. A low stress level is probably the most important factor in being able to nurse long-term. It affects you if you are constantly worried about feeding your baby. If it just isn’t working – you’ve reached out for help and done everything you know how to make it better – be comfortable to move on from breastfeeding when it’s necessary. Pump in the background on my nightstand. And that rat tail she was still sporting – ha! 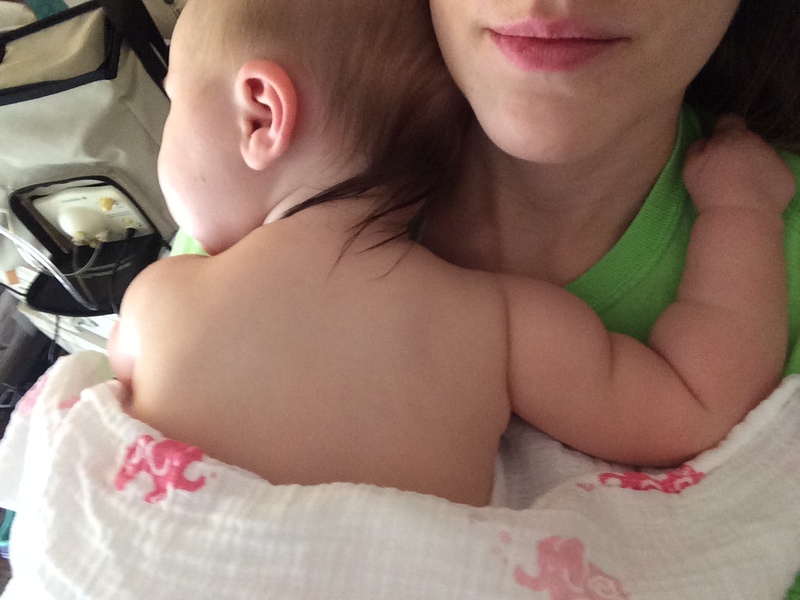 My hope is that this helps you feel more prepared for your own breastfeeding journey! I wish I had taken more steps to prepare, especially emotionally and mentally, for the road I would be on for 13 months. Those first few weeks with your newborn will feel overwhelming, but they won’t be eating every two hours for the rest of their lives. It gets better and easier and becomes such a part of your life that you may just miss it when it’s over. Or you may do a little happy dance on your way to a girls night out that is waywayway overdue. Either way, I know you’ll be grateful that you did it. If you have any questions or concerns I would love to try to help. Just let me know in the comment section or send me an email. own nursing diaries, please do so! Previous Article what Thailand taught me. Love, love, love this post. I nursed all 3 of my babies for about 13 months each and it is something I feel so strongly about. Excellent points and suggestions! I agree with it all! Thanks MM 🙂 Wow, you have logged some major nursing time! If you have any wisdom to add to this, I would love to hear it! Red and I had SO much trouble nursing, but at least we made it to two months! I'm looking forward to trying new techniques and seeing how far I can go with Baby Girl! Two months is better than nothing! Every baby is different so fingers crossed that it works out well with this little one when she arrives!